Why do I need it? 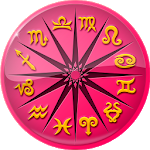 Our horoscope helps you plan positive actions in the future, navigate through difficult situations in life, and build love and a career. It is also a great way to have fun while you enjoy your morning coffee. 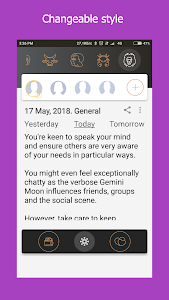 In the basic version of our daily horoscope, all zodiac signs are available. Each sign features three types of forecast: general, love, and money. The general horoscope is about common things. Love and financial horoscopes, respectively, provide recommendations about relationships and a career. Our app calculates your lifepath number and suggests things to do by applying the concept of numerology. With the lifepath number and numerology profile, you can effectively take advantage of your strong qualities. 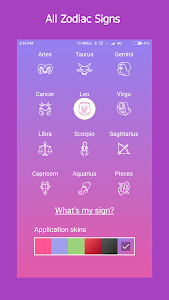 After installing the app, you have to set your data for astrological calculations. 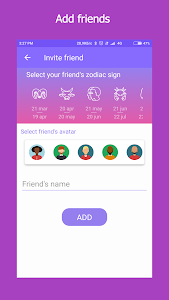 You can choose your zodiac sign or set your date of birth or sign up with Facebook, Google, or email. You’ll then have access to the daily horoscope. When updates are available, you’ll be notified. You can turn it off in your profile settings if you prefer. 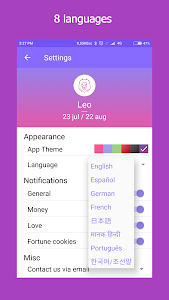 The horoscope is available in nine languages: English, Spanish, Russian, German, French, Japanese, Korean, Portuguese and Hindi. You can change the language in your profile settings. If you have authorized it in the app, the full star profile will be allowed. It includes your zodiac description, Chinese zodiac sign, druid horoscope, and lifepath number. 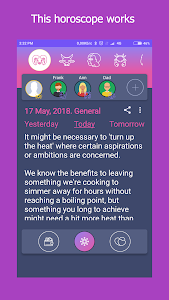 Authorized users can add their friends and send them invitations. If you don’t like to see advertising, you can disable it forever with just one small payment. We have had more than one million installations. Please join us!